From my first visit in July 2012. Well, at the time it was a mixed bag. Restaurants need time to get their footing - and for a second location of a tiny local joint to be thrust into a former McAlister's on busy Rodney Parham, there were many, many expectations. 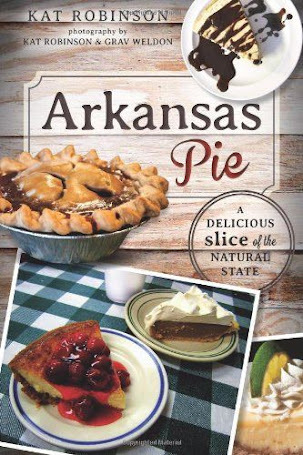 Even I didn't give it thrift at first (which has more to do with research on a pie for my first book, being told a Sysco creation was homemade from scratch put me right off). 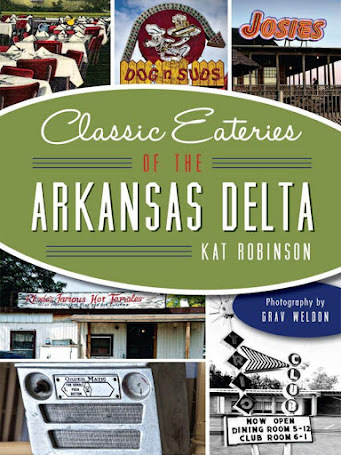 To determine if what is essentially a new eatery would be a classic, takes some time. However, it's my mom who has encouraged me to explore Homer's West again. Looking for good vittles in the evening, I mentioned the nearby spot and we gave it a shot. And I have to say, yeah, I get it now. city - concrete and dark wood and dark walls and modern elements. The red and black worked through the restaurant certainly feels more 21st century than neighborhood dive. Instead, Homer's West accepts its west Little Rock (and yes, even the new Midtown designation) with aplomb and concentrates on the things that matter - home cooking dishes that have stood the test of time, comfort food best sought in an age of uncertainty, a haven for those looking for solace in a plate lunch. Yes, we have indeed reached this point - and while a few of us find it these days in a bowl of hot pho or a pot of curry, most of us seeking a spread of American food will find what we need here. Still, it's taken me some time to find my dish. 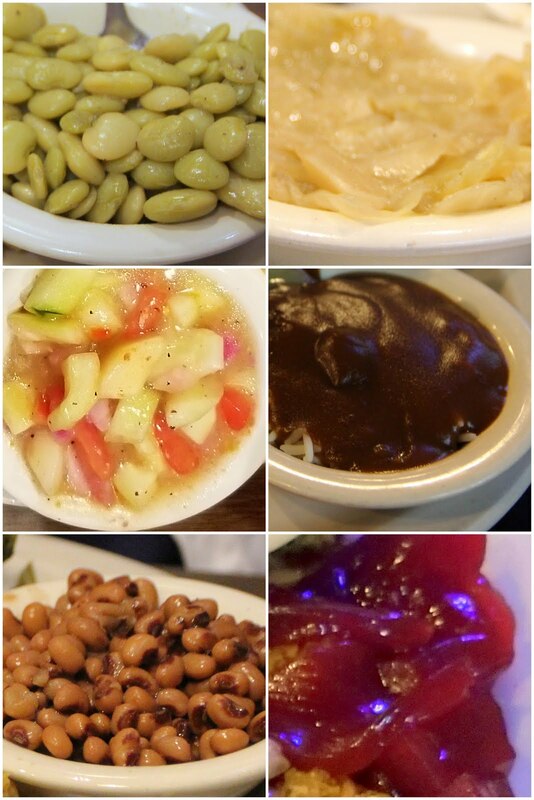 There are many good dishes on the menu - and an even better display of side items. And that really makes the whole experience better - having something other than fried okra and mashed potatoes to turn to. Because that's not how we used to eat. Oh heavens, yes, I am about to invoke nostalgia. Sorry about that. See, we used to eat more seasonally. There were more colors to our ordinary diet. While innovators in the field are offering high-dollar dinners bright and popping with color, the average Joe is still dining on burgers, fries, fried chicken and such - a medley of brown and beige with just a hint of color in a tomato or a slice of red onion. 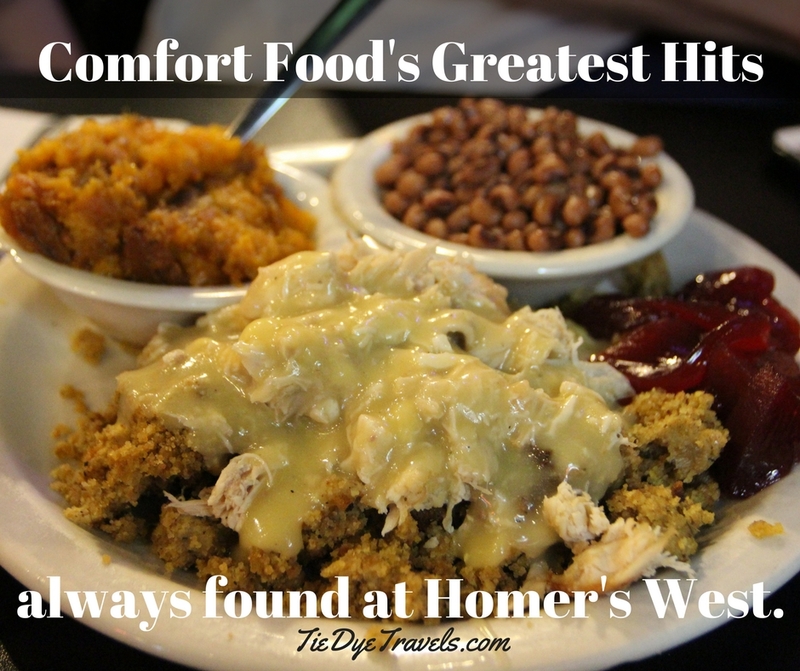 Homer's may have a lot of brown and beige on the menu, but the palate is larger - from the deep greens of turnip greens to the pale mantis green of lima beans, the muddy orange of sweet potatoes, the contrast of cucumbers against tomatoes, the pink of bacon edges. It's a palate built on security, on a garden life, on the normality of the kitchen table. Okay, that's a discussion for another day. You want to know about the food. The short of it is, it's good. 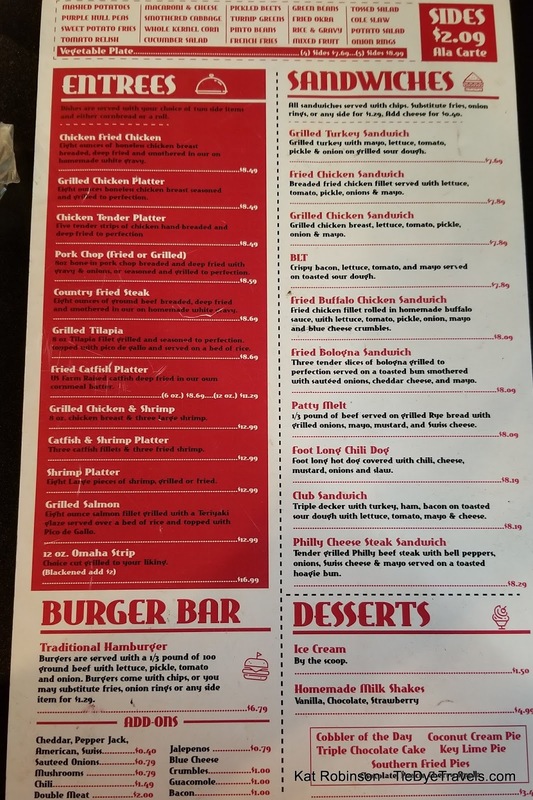 There are daily specials and we tend to select from those temporary, half-sheet menus rather than diving into the regular menu - under the idea that these are the items of this particular time and place. That's how Mom discovered the excellent chicken and dressing with cranberry sauce and sweet potatoes - a middle-of-summer feast that maybe shouldn't be reserved just for the holidays. It's hard to find this combination outside a small handfull of diners (Dan's I-30 Diner in Benton comes to mind) around the area outside of the fall and winter months. The portions are substantial. I did try the chicken and dumplings on that visit, and was relieved not to receive the Sue Bee variety that some lunch counters have served me over the years as their version of the dish. Here, hand-pulled chicken is added atop the dough filled broth, far more chicken than one normally gets in this budget-stretcher from our past. While not up to Grav's magnificent version (I have yet to find anyone who's approached that, honestly), it was indeed a filling and comfortable bowlful. What impressed me more was when I couldn't decide on a side and asked for sliced tomatoes instead. Not even a blink. Which is good - believe me, when you go some place one day and ask for something so simple instead and get charged PER SLICE for such a service, you may realize how batty some of our restaurant folks have become. We had to go back soon, because I heard they had chicken spaghetti. Seriously, I love chicken spaghetti. It's not an Italian dish, it's an Arkansas dish, spaghetti noodles and chicken with a creamy sauce and whatever else gets thrown in, filling but not too heavy, comforting and pairs with everything. Homer's does a superlative version. We brought Grav along for this visit, and he was able to contemplate one of the daily specials I couldn't try - the bacon-wrapped hamburger steak. Forget a filet mignon - this was not a solid piece of steak surrounded by a slice of bacon but a hamburger patty entirely wrapped - top, bottom and side - in bacon pan-fried and covered in gravy. Grav's only complaint - which shocked me - was it was a bit too salty. That's saying something for a man who likes to have a little meat, a little fries and such with his salt. We did dither over the beans. I had asked about lima beans and whether they were cooked with pork. Our waitress misunderstood and brought me a bowl so I could try them. We all ended up sticking a fork in, and Grav showed some disappointment - he'd ordered brown beans and there was no way they'd be as good as these lima beans. Oh golly, yes, I love lima beans. 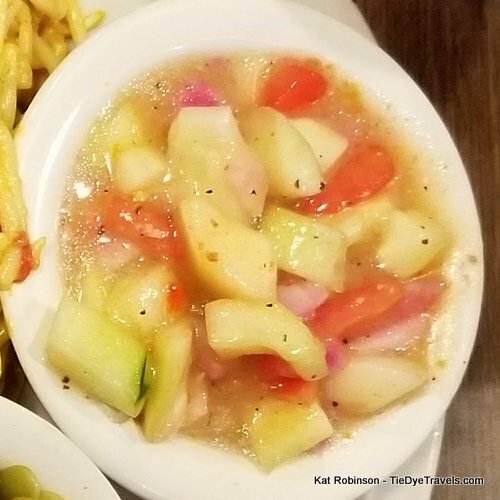 And I adored these, about as much as I enjoyed the cucumber and tomato salad, which was piquant without being bitingly so, less a vinegar-soaked quick pickle and more a vibrant medley of fresh vegetables in a dressing. Such a lovely summer thing. Even the rolls - okay, I love Homer's rolls, which are stuffed into muffin pans and allowed to rise out and are chopped apart, square top, round bottom. The cornbread is good but the muffins are huge and just... yeah, home muffins. Hunter even likes Homer's, though she always orders the same thing, a cheeseburger without the cheese. And if her burger is anything to compare to, the burgers must be great. But somehow, we never get around to the burgers. This last visit, we decided to give the cobblers a chance (pies, as I understand, may still be from a company and not housemade). We shared the apple and pecan cobblers with ice cream. The apple was heavily spiced but not detrimentally so, and Hunter greedily sped through it because that was absolutely her favorite thing that day. The pecan cobbler was like napalm - ridiculously hot. But it was also undeniably delicious, not too sweet, slightly salty even, a good match for the ice cream. The best combination, though, was the apple and pecan cobbler together with the ice cream. It had us all discussing why pecan-apple pie wasn't a thing (I bet it will be soon). 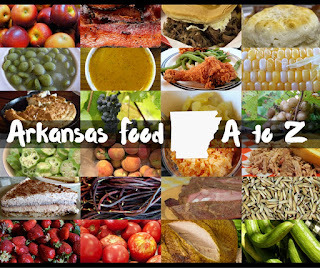 The only fault I can really give is this - with Arkansas specialties such as greens, cucumber-tomato salad, fried cabbage, rice with gravy and the like, where's the fresh-sliced cantaloupe? 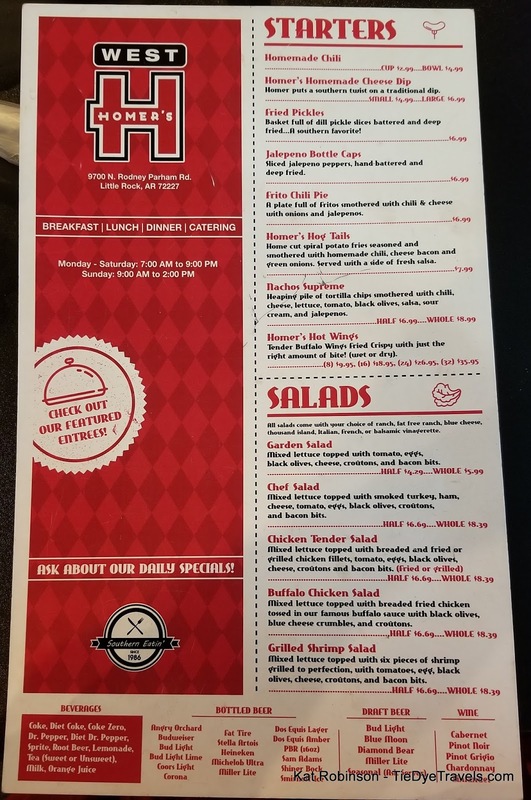 The menu at Homer's is vast, and even its daily specials are numerous, with five entrees and maybe a dozen sides each day. There's a website that shares those daily specials (though for some reason the specials don't appear on the mobile version for me). 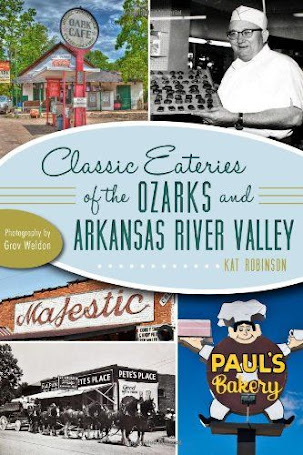 You'll find Homer's West at 9700 North Rodney Parham. It's open every day - most days 7 am. to 9 p.m. and then 9 a.m.-2 p.m. on Sundays. 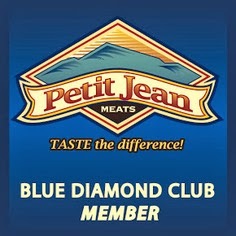 Call (501) 224-6637 - they don't mind telling you the daily specials if you can't pull them up.